The Soprano is the smallest and so people with large hands are often put off. For the record I’m 6’3 and have long (but thin) fingers and I find a soprano playable, but difficult at the higher frets. If you have very thick fingers then this isn’t for you. The advantage with the smaller neck is the strings are generally loser in standard tuning making it really easy to hold chords and bend strings though you’ll only have between 12-15 frets to do this on. They are also cheaper due to the lower amount of resources used in their production. The smaller size also makes them generally quieter. 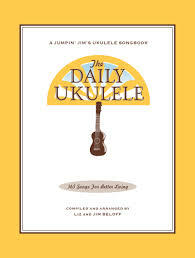 A concert ukulele is the second smallest and has become more popular recently with people like Jake Shimabukuro and Sophie Madeleine playing Concert size Ukuleles. They have a tighter string tension, larger gaps between frets and more frets making them better for soloing on and yet still very easy to press the strings down. The slightly longer neck means the Ukulele will sound a little brighter due to the extra tension in the neck and with a larger body, they are usually louder than Sopranos. This is actually my favourite size to play, it’s a goldilocks to the small soprano and larger tenor. The only major downside is that they don’t have as many frets as a tenor nor the extra portability of the Soprano. If you think the soprano is too little and the tenor is too big, then I’d recommend a Concert. The Tenor has won a lot of fans due to its larger size which benefits low g (or “liner”) tuning and soloing on the higher frets. Many players who switch from the guitar like this size as it is more familiar than the smaller Soprano and Concert. 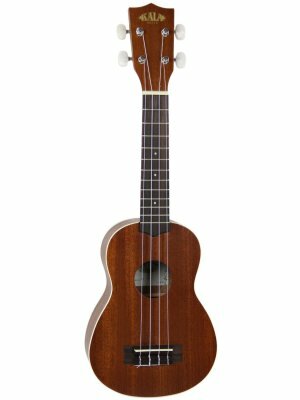 It’s easier to find Tenor ukuleles which come with electric pickups, so you to plug into an amp (great for live performances). 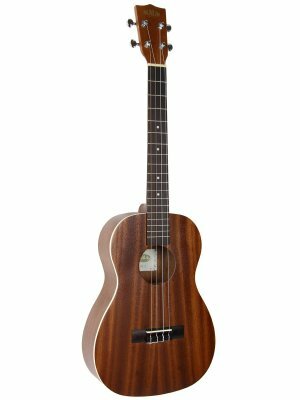 The baritone is the big daddy of the Ukulele family, it’s basically the same size as a guitar and is tuned the same way as the four highest (in pitch) strings on a guitar, DGBE. 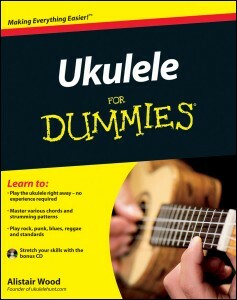 Or This makes it really easy for guitarists to adapt to and perfect. 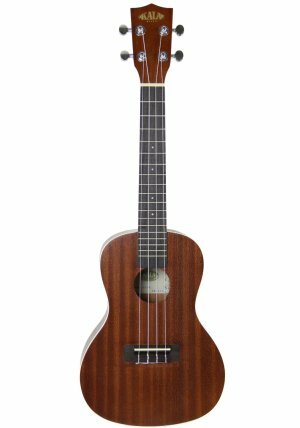 If you like the ukulele but think it is just a bit to high in pitch (one of the key traits of the Ukulele but anyway), then you’ll love the Baritone. 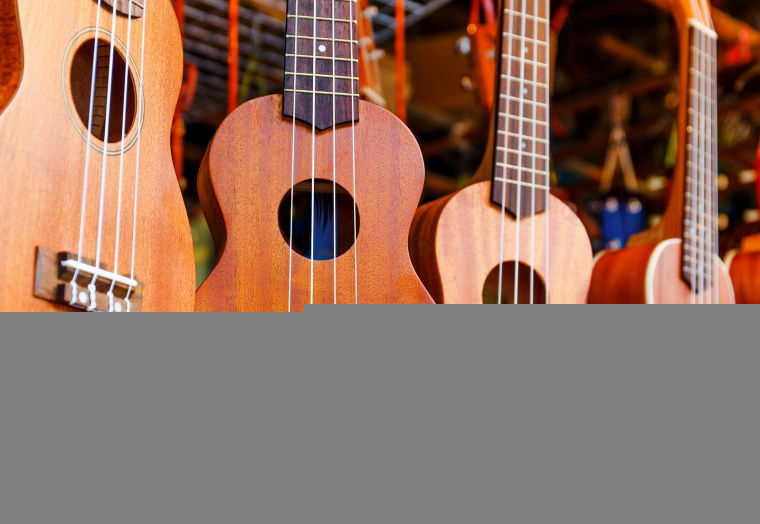 The different tuning helps to reduce the string tension but it will still require more than a Soprano ukulele but produce a deeper sound. The super large frets are great if you have chubby fingers or want to do complicated fingerpicking and solo style (with out the distraction of those two extra strings on a guitar). I was probably a bit too dismissive of the Baritone…mainly because I don’t own one…yet. I don’t think it’s really cheating but it is the most distinct of the four main ones. I think you can switch pretty quickly between soprano, concert and tenor with little difference, but from any of those to the Baritone is a bigger shift. 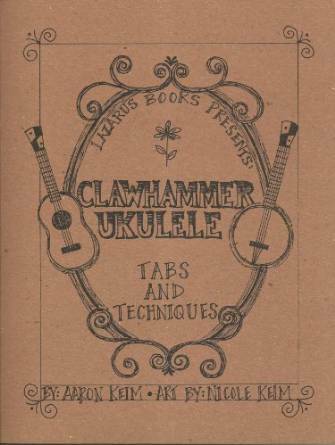 Overall who cares if it is a “real ukulele” as long as you enjoy playing it!